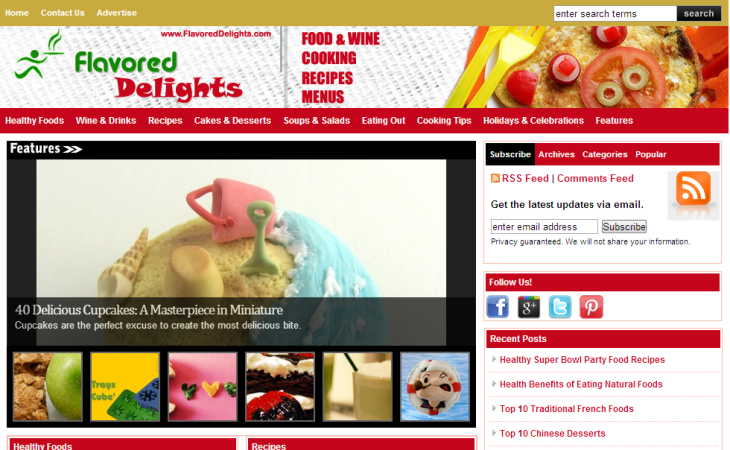 Flavoreddelights.com is a site that caters to food lovers. Food and catering have never been out of fashion. Our site aims at providing content on every aspect of fine dining. A wide range of categories have been included to keep the reader engaged. The site focuses on both the one who loves to eat and the one who loves to cook. Thousands of recipes from around the world have been added to the site over the years creating a cross cultural mélange of tasty delights. Through this site we have made sure that visitors get to try out new recipes and tickle their taste buds from party food to healthy everyday food.